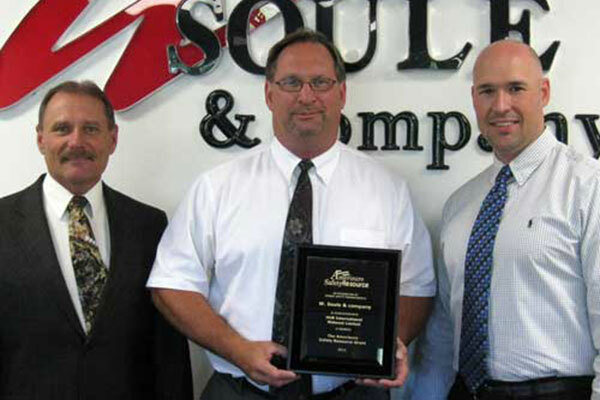 W. Soule was awarded a Safety Resource Grant from Amerisure Insurance Company. This resource grant is awarded to companies insured by Amerisure who exhibit unique safety enhancements within their operations or organization. W. Soule received this award for partnering with the Grand Valley State University’s Occupational Safety and Health program to perform atmospheric monitoring in the Custom Fabrication shop in Kalamazoo, Michigan. The partnership allowed students to gain real life experience and allowed W. Soule to establish exposure assessments on its employees. This is another great example of W. Soule’s work in the community. View the time lapse video of the skid production.